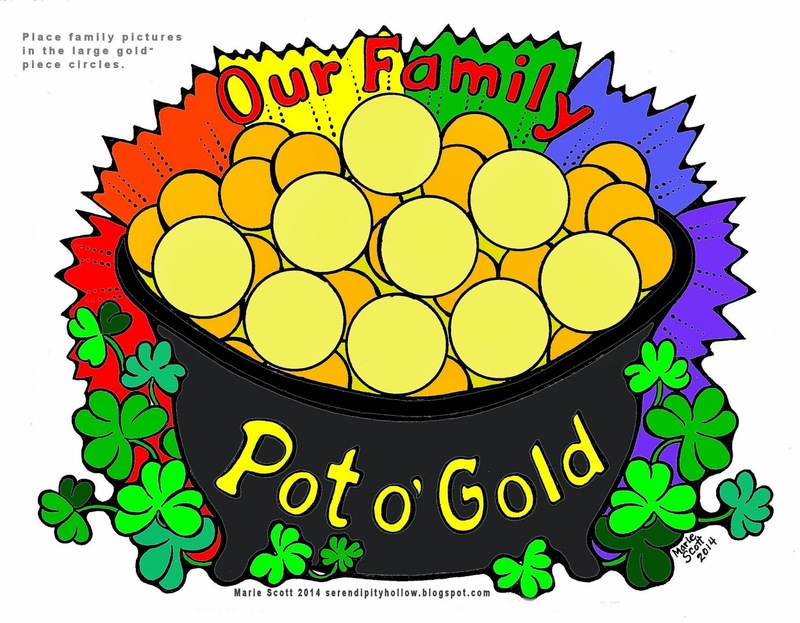 Copy, paste, and print out this Pot O’ Gold picture and fill in the gold pieces with family photos. 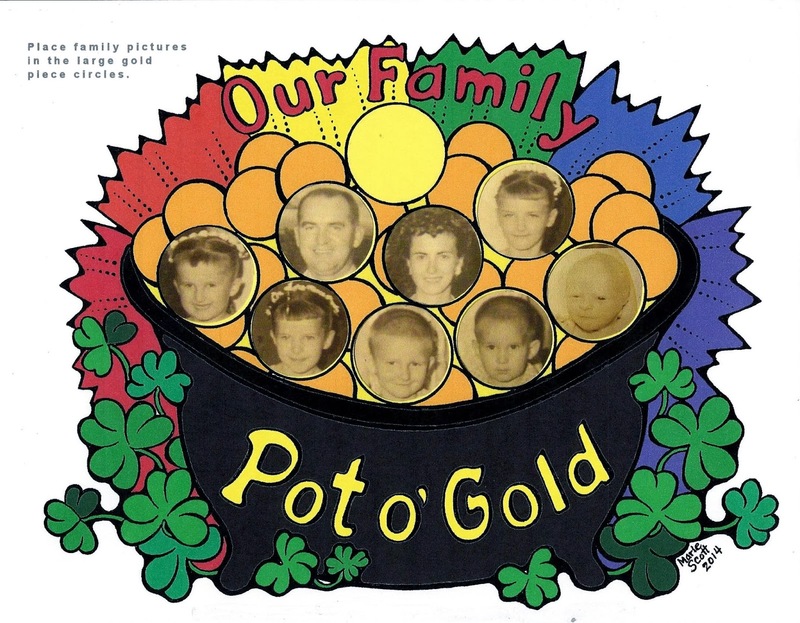 Show the picture to your family and explain how you treasure each family member. 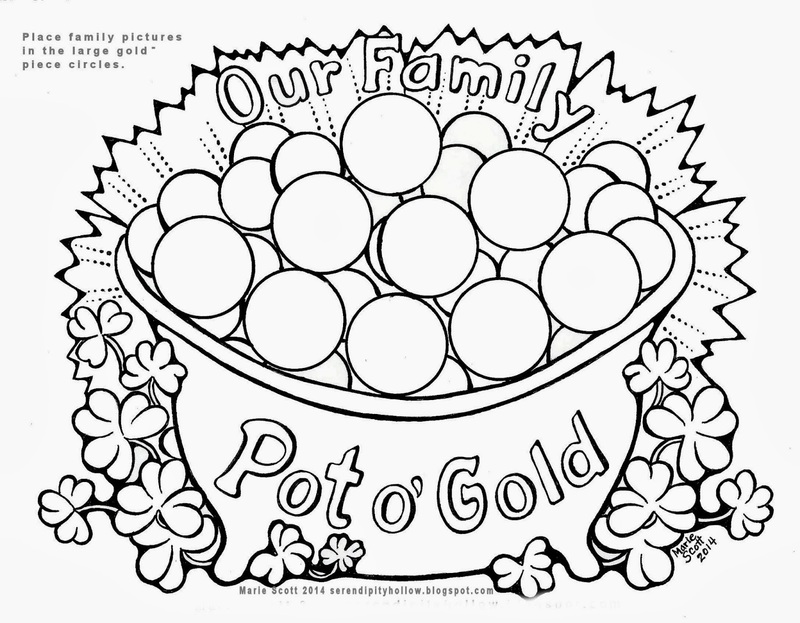 Or do the project as a family!